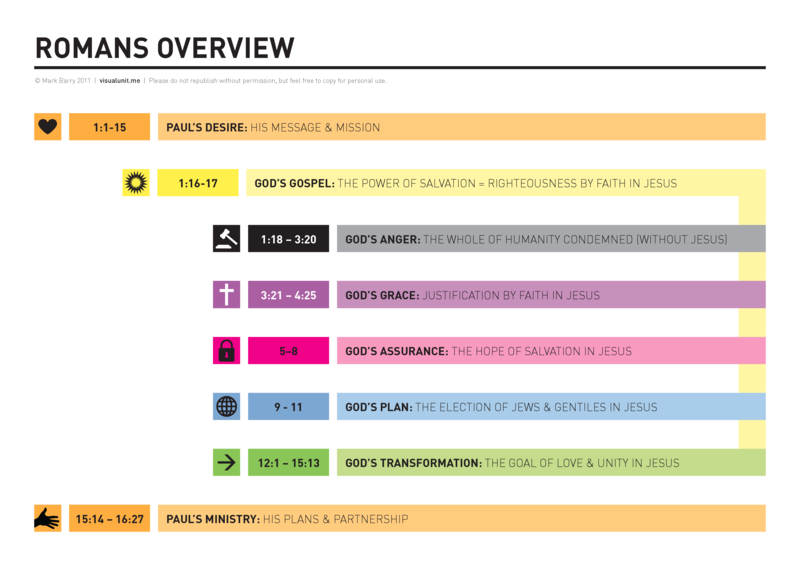 This entry was posted in English and tagged New Testament, overview, Romans, structure. Bookmark the permalink. My humble attempt to simplify Paul’s complex argument in Romans, drawing heavily on the outlines of Stott and Moo, but failing to do justice to this glorious epistle. Is it displayed this way because you see a chiasm with 5-8 at the middle?? That was my initial thinking, Dave. But now I’m not so sure! It’s a work in progress.